The Hong Kong government has announced a three-year pilot scheme of a new employment visa, the Technology Talent Admission Scheme, which is expected to streamline the admission of research and development professionals from overseas and mainland China participating in either the Hong Kong Science and Technology Parks Corporation or the Hong Kong Cyberport Management Company Limited. A new employment visa program, the Technology Talent Admission Scheme (TechTAS), for eligible foreign and Mainland Chinese nationals engaged in research and development, will be piloted starting June 2018. Seeking to work in one of the following technological fields: biotechnology, artificial intelligence, cybersecurity, robotics, data analytics, financial technologies or material science. Streamlined application process. Qualified companies will need to apply for a quota through HKSTPC or Cyberport. Once granted, they can use the quota to sponsor a TechTAS visa application for their employee with the Immigration Department. The government foresees a typical processing time of two weeks, upon receipt of all required documents. Offered a salary broadly commensurate with the prevailing market level for comparable jobs in Hong Kong. Program details. TechTAS visa holders may apply to sponsor their spouse and unmarried dependent children under the age of 18 under the visa. TechTAS visa holders can apply for permanent residence after seven years of continuous residence. Qualified foreign nationals should benefit from the streamlined TechTAS visa process, which will allow them to start working in Hong Kong sooner than under other visas. Technology companies awarded quotas will no longer need to comply with the requirement to repeatedly demonstrate local recruitment failure every time they seek to bring in talent. 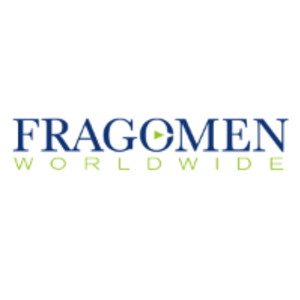 Fragomen will provide more details on the quota process as they become available. The pilot of this program will last for three years. During its first year, the government is expected to issue up to 1,000 TechTAS visas. This alert is for informational purposes only. If you have any questions, please contact the global immigration professional with whom you work at Fragomen or send an email to HKInitiations@fragomen.com.